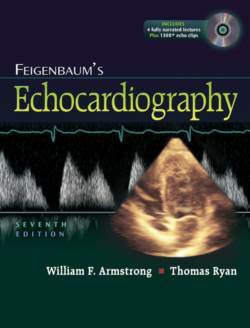 The thoroughly revised Seventh Edition of Feigenbaum's Echocardiography reflects recent changes in the technology and clinical use of echocardiography. Highlights include detailed discussions on the use of three-dimensional echocardiography and perfusion imaging and new information on the mechanics and utility of Strain and Strain rate imaging. Many new images complement the state-of-the-art information on technological advances. Current AHA/ACC guidelines are included for each chapter. An accompanying DVD contains tutorials on echo interpretation with voiceover and animations.